Young Gifted and Black: Attorney for "JohnDoe" Killer of Renisha McBride, "He's Justisfied"..
Attorney for "JohnDoe" Killer of Renisha McBride, "He's Justisfied".. 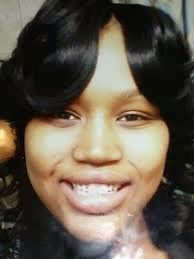 The killing of 19-year-old Renisha McBride, who was shot after knocking on a stranger’s door to ask for help in the wee morning hours of November 2, was “justified” according to her shooter’s attorney. “On that night he was woken up. … Everything was dark in the house, and he was awoken by sounds of a person or persons trying to get into his home,” said Bloomfield Hills attorney Cheryl Carpenter. “He” is a 54-year-old man who is so “justified” in killing McBride that, despite community pressure and family pleading, the Dearborn Heights Police have not released his name nor charged him with a crime. Activist & Filmmaker Dream Hampton and Yusef Shakur protested outside the Dearborn Heights Police Department for answers and the arrest of the "John Doe" Killer.